When Brendan and Natalie Smyth posed for engagement photos at a pub in Dublin, Ireland, they had no idea their marriage would take them 3,570 miles away to a town with a familiar name. Brendan was born and raised in Shankill, Dublin, Ireland and now spends his time with his wife in Dublin, Ohio. 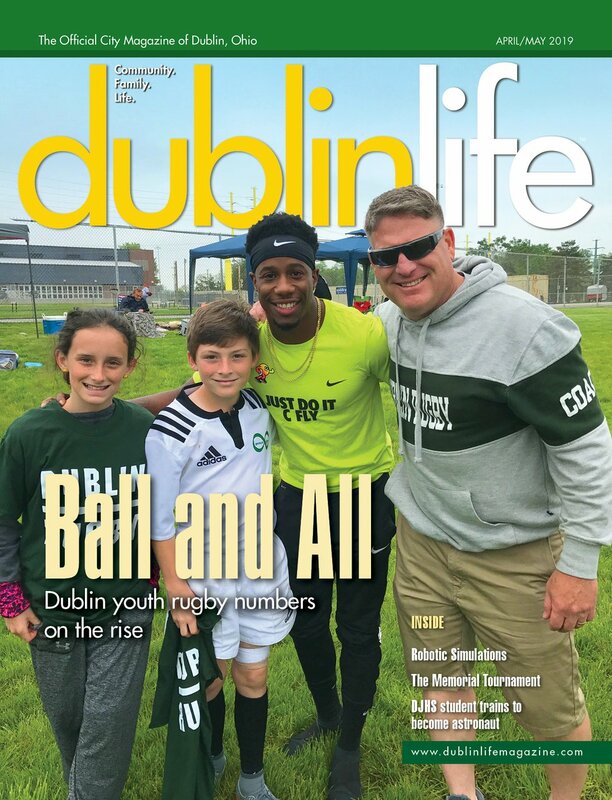 The Ireland native has noticed similarities and differences between his hometown and the City of Dublin. That Irish charm is one of the things that led Natalie, a Maumee, Ohio native, to marry Brendan in 2012. The couple met while she was in Ireland for a friend’s wedding in 2010. Since the move, Brendan says his morning commute is the biggest change. When it comes to weather, the unpredictable nature of Ohio is the opposite of Shankill. And speaking of barbecue, the indigenous Irishman has noticed a discrepancy in how U.S. citizens eat. Washing down a meal with a nice pint is a complicated issue for Brendan. Brendan works for Miller Pipeline and Natalie is the shopkeeper at Jeni’s Splendid Ice Creams, making her a corporate resident of Dublin. ter” – an Irish-themed ice cream treat – in honor of The Presidents Cup held in Dublin in 2013. She also helped Jeni’s win a 2013 Living the Irish Attitude Award for its embodiment of Irish culture and attitude. The couple can be found around Dublin, shopping at their favorite store, Ha’penny Bridge Imports of Dublin, or having a drink at the Dublin Village Tavern. “The bartenders know him, and they know what he likes to drink; it really has that Irish pub feel,” Natalie says. When there are sports on TV, Brendan says he has no compulsion to cheer for the Notre Dame Fighting Irish. “I’m a Buckeye, and that’s just the way it is,” he says.